CEDAR RAPIDS — Iowa State coaches moved around the floor at the U.S. Cellular Center Thursday night glad-handing, chit-chatting and giving the fan base some words to chew on and get them through the offseason. Fred Hoiberg — the Cyclones’ newest rock star — didn’t move more than five feet. For a solid hour. And the line to share a story or snap a family picture with Hoiberg as its centerpiece was still around the corner by the time he had to hit the stage. Hoiberg’s first appearance at ISU’s summer Tailgate Tour was a mob scene, and that’s a good thing. “Man, look at that line,” Voice of the Cyclones John Walters said from the other side of the room. ANY MORE ADDITIONS TO NEXT YEAR’S RECRUITING CLASS? CLOSE TO FILLING OUT COACHING STAFF? “My next hire will be somebody who has head coaching experience and has been successful at the college level. I’ve been watching a lot of flim of some coaches who have had a lot of years in the NCAA. There are some people out there that have a lot of the same things that I want to do. Hoiberg said no offers have been extended, but they are not far off. WHAT WILL JEFF GRAYER BE DOING AS A MEMBER OF THE STAFF? Will it be on the light side considering the shape the roster is in? AMES — Iowa State has two openings on its coaching staff. What is Greg McDermott looking for in filling those spots? “Recruiting is always a priority,” the Cyclone coach said during an interview late last week. With just six scholarship players and two walk-ons currently on campus, immediate recruiting help would be welcome. Realistically, McDermott is meaning down the road, starting with next year’s class. An appreciation for the school and the community also is key, McDermott said. “It has to be somebody who believes (Ames) is a fit for them, because it is not for everybody. That’s just the reality,” he said. Resumes are pouring in, McDermott says. He’s done some interviews and hopes to make one or both hires official by the end of this week. He and coaches T.J. Otzelberger and Jeff Rutter have spent the last few days looking for additions to this year’s recruiting class. Coaches are in an open recruiting period until Wednesday. McDermott was boarding a plane headed for Wisconsin Friday afternoon. Rutter was traveling to Europe to visit prospects. “The next (few) days are important for us as we continue to evaluate a few guys more in-depth,” McDermott said. ISU has seen three players leave the program (Justin Hamilton, Dominique Buckley and Chris Colvin) since the season ended last month. The late signing period began last week. One player — Oregon big man Jordan Railey — has signed so far. McDermott needs a few more to join up. Iowa State’s spring football game will kick off at 2 p.m. Saturday in Jack Trice Stadium. The general public should enter the stadium at the northeast Gate 1 entrance. All seating for the game will be on the east side of the stadium. The ISU athletics ticket office will be open from 1 p.m. to 3 p.m. Football posters will be available in the Guest Services booth on the east concourse. The game will be played in 15-minute quarters with the fourth quarter featuring a moving clock. AMES — Missing half of its regular lineup from this past season, what in the world is Iowa State’s wrestling team going to look like next season? It’ll be young, that’s for sure. How young? Previous Cyclone coaches Bobby Douglas and Cael Sanderson were steadfast in redshirting ALL their incoming freshmen. Jackson may not have that luxury with his new class, which is nearly 10 deep right now as the spring signing period approaches. Three newly-crowned Iowa high school state champions will join the team: Centerville’s Mike England, Kyven Gadson of Waterloo East and Urbandale’s Mike Moreno. Finalists Trevor Voelker of Adel-DeSoto-Minburn and West Des Moines Valley’s Brandon Jones also will be Cyclones. Three others — Joey Cozart (Brandon, Fla.), Ryak Finch (Safford, Ariz.) and Luke Goettl (Clarksdale, Ariz.) — are among Jackson’s first full recruiting class. Does the coach prefer they sit or throw ’em in there? Ideally Jackson would like to get his newbies acclimated to the type of training and tactics he employs and allow their bodies to develop. Results can happen quickly with the right person. Sophomores Jerome Ward (184), Andrew Sorenson (157) and Dalton Jensen (141) will be expected to step it up, as will senior-to-be Jon Reader. Jackson has high hopes for redshirts Trent Weatherman and Boaz Beard, too. Year two of the Jackson era will be a rebuilding one. AMES — Iowa State’s pro basketball prospects are gearing up for their drafts. It was announced Thursday that Cyclone point guard Alison Lacey was one of 14 players invited to attend the WNBA’s Draft on April 8 in Secaucus, N.J.
She plans on being there, along with head coach Bill Fennelly, assistant Jodi Steyer and student assistant/roommate Brittany Lange. Lacey has been working out since ISU’s season ended Sunday in a NCAA tournament loss to Connecticut. She hasn’t been sure about continuing her professional career, but it sounds as if the WNBA is in her future. Lacey, a first-team all-Big 12 pick this season, will be the eighth player in ISU history picked for the draft and the first since Lyndsey Medders in 2007. Other players in the conference joining her in person at the draft will be Oklahoma State’s Andrea Riley, Nebraska’s Kelsey Griffin, Kansas’ Danielle McCray and Oklahoma’s Amanda Thompson. Meanwhile, former Cyclone big man Craig Brackins is living in Las Vegas, working out daily in preparation for the June 24 NBA Draft. The 6-10 forward is sharing an apartment with Oklahoma State guard James Anderson, who also decided to leave school a year early for a chance at the NBA. Brackins and Anderson became fast friends last summer while playing in the World University Games. The Web site http://www.nbadraft.net projects Brackins as an early second-round pick. He is hoping to go higher than that, obviously, and earn a guaranteed contract if selected in the first round. AMES — Alison Lacey was wiped out after Tuesday night’s hard-fought NCAA tournament win over Green Bay at Hilton Coliseum. The Iowa State point guard still is getting her strength and wind back after sitting out three weeks with pneumonia. She of course will play Sunday when the Cyclones (25-7) take on No. 1 seeded Connecticut, and will do so after getting some much-needed rest. ISU got past Lehigh with ease, but had to fight hard for a second-round win over Green Bay and its physical defense. Lacey played 36 minutes, something she hadn’t done in more than three weeks. Lacey got Wednesday and Thursday off. She did practice some Friday before ISU took off for Dayton, Ohio, and its Sweet 16 match-up with the unbeaten Huskies, who sit at 35-0 right now. The first-team all-Big 12 pick would like to be in more of a rhythm and continue getting back her shooting touch and timing with teammates, but Lacey’s body needs to recover more than anything. She may have to go the whole way for the Cyclones to have a chance at snapping UConn’s 74-game win streak. How do Geno and his Huskies do it? AMES — Bill Fennelly needed a break. The television in his office Thursday afternoon was tuned to his second-favorite pastime after his Iowa State women’s basketball team – St. Louis Cardinal baseball. The Cyclones will line up against No. 1-ranked and unbeaten UConn Sunday at 11 a.m. in Dayton, Ohio; looking to pull a Sweet 16 upset for the ages. The Huskies (35-0) have won an incredible 74 consecutive games. How exactly? Players like Tina Charles and Maya Moore sure help, but coach Geno Auriemma is the straw that stirs the drink. He gets his seemingly endless stream of blue-chippers to play at their best every minute they are on the floor. The NCAA-record winning streak has ISU’s coach most impressed. Connecticut has beaten its first to NCAA tournament opponents by a combined 110 points, including a 90-36 beat down of Temple, whose head coach, Tonya Cardoza, spent 14 seasons as an assistant under Auriemma in Storrs, Conn. It doesn’t matter who you are. This team is relentless – and supremely confident. AMES — Iowa State’s defense is looking for some new leaders. Sophomore linebacker A.J. Klein wants the job. Klein, Jake Knott — who also got his feet wet last year playing some as a true freshman — and transfer Matt Taufoou sit atop the depth chart at this point in time. Klein wants to fill the shoes of Jesse Smith, an emotional leader and one of the Cyclones’ top tacklers the past three seasons. Josh Raven and Fred Garrin, both starters, and backup Derec Schmidgall also have moved on. Klein has a burning desire to follow in Smith’s footsteps as a defensive captain. The 6-1, 237-pounder from Kimberly, Wis., wants to help call the shots. AMES – Hilton Coliseum and Iowa State’s women’s basketball team will get great national exposure and face time Sunday in the NCAA Tournament. The Cyclones’ late start – set by cable network ESPN, which holds the event’s broadcast rights – isn’t so great for those who have purchased tickets or are thinking of doing so. Fourth-seeded ISU (23-7) will tip off its first-round game with No. 13 Lehigh (29-3) just shy of 9 p.m. local time. That’s assuming the first game of the night on ESPN2 between No. 5 Virginia (21-9) and No. 12 Green Bay (27-4) doesn’t go long. For adults getting to work the following day and kids coming back to school off spring break, schedules are going to be thrown for a loop. Sunday’s winners will also play late. Tip off Tuesday is set for 8:30 p.m.
Game times were known in advance, then cemented when the pairings were determined. Several thousand all-session ticket packages were purchased in advance and more have sold since Monday’s selection show. More than 5,000 have been snatched up thus far. The Cyclones have made the tournament field four years running and in 11 of Coach Bill Fennelly’s 14 seasons. They played at home in first- and second-round games for five straight years from 1998-2002 when hosting duties went to the teams seeded fourth or better. 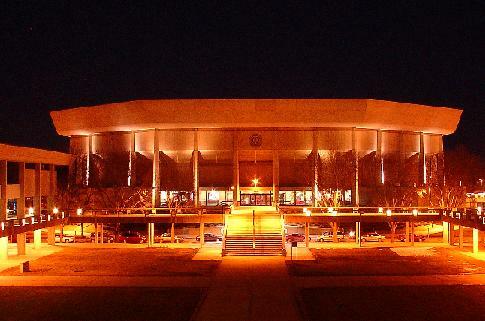 ISU, which is 8-2 in NCAA games at Hilton, also served as the host school in 2008 at Wells Fargo Arena in Des Moines. Fennelly talked regularly this season about the need to get the Cyclones to the dance. ISU lost five seniors and a key reserve off last year’s Elite Eight team and had a lot of questions going in. It ended up finishing second in the Big 12 Conference and earned the reward of playing at home in the postseason. “It gives you something more to play for,” Sanders said. The other three teams were scheduled to arrive in Ames Friday.